Located in Melbourne Street, First Pour Adelaide is the South Australian branch of the Veneziano Coffee Roasters, meaning patrons can expect to experience authentic coffee flavours and more while visiting the café. First Pour offers a large range of coffees, teas and other hot beverages. Additionally, the staff are experts in coffee roasting and preparation, ensuring you will receive a high quality beverage no matter what you select. When visiting First Pour, one of the first things diners may notice is the stylish and contemporary décor and surrounds that the venue has to offer. With a light and bright interior, the café makes the most of all the space available, managing to fit in a large central table, a plush bench along the wall with multiple smaller tables and more. The setting creates a pleasant ambience in which to enjoy your beverage or food. Additionally, the range of food and beverages more than compliments the pleasing atmosphere that First Pour exudes. Housed in a glass cabinet to the right of the main bar, you will find cupcakes, slices, chocolates, danishes, banana bread (shown above) and more on display. 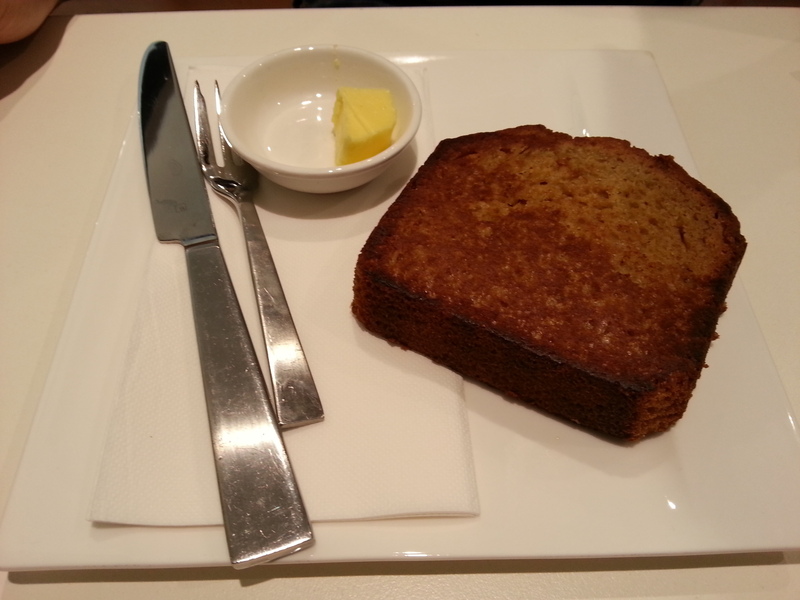 Banana bread can be served toasted upon request, and provides a great mid-afternoon snack option. 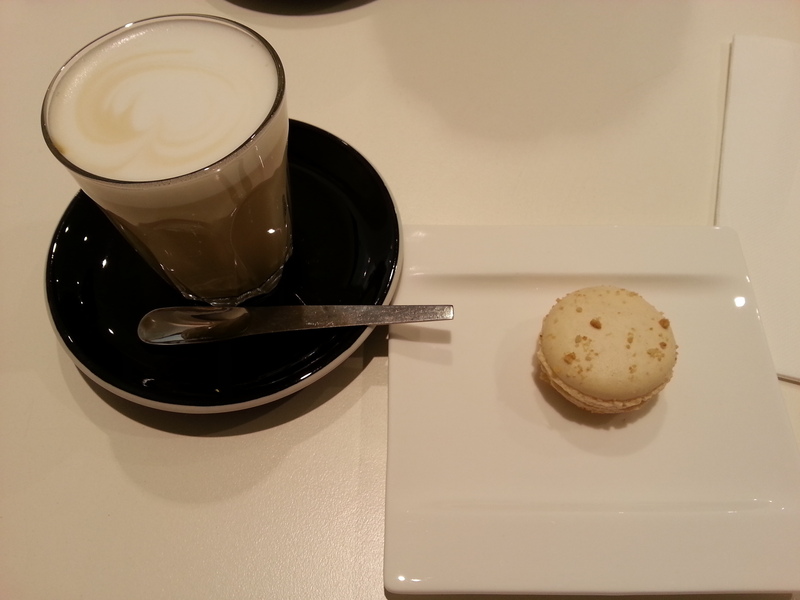 Included in the category of 'more' is the macaron that this reviewer decided to sample. First Pour offers a number of macaron flavours, including salted caramel and New York cheesecake (shown above). Shown above with a vanilla chai latte, the macarons crisp shell, soft and creamy ganache makes for an ideal sweet treat when paired with a hot drink. The final word: Visit First Pour for a perfectly made cup of coffee that is sure to appease connoisseurs. Adding to this, another benefit of First Pour is the friendly atmosphere and stylish settings that surround you while you are visiting. *Sidenote: My friend chose to have a flat white and happily reported that it was made with the right amount of froth, making it a genuine flat white, something not always found in cafes.